Vincent is a 2-Strap Hook & Loop shoe with a trendy, youthful look. The contrasting stitching helps make this shoe look different from typical laceless shoes. The midsole features our exclusive Foot Cradle Technology (F.C.T.). A thermoplastic component in the heel stabilizes and supports the foot while a full-length compression-molded EVA midsole cushions the foot.The midfoot is reinforced with a nylon and fiberglass shank that stiffens the midfoot while still allowing for just the right of amount of torsional flexion. Gel shock pads in the forefoot further enhance comfort. The carbon rubber outsole provides excellent grip and durability. 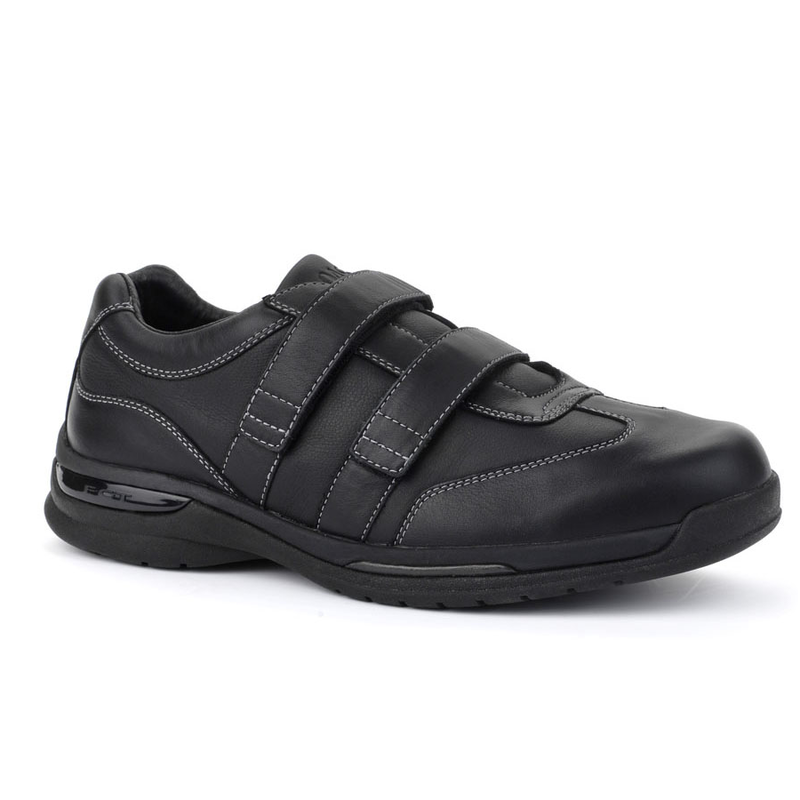 This shoe's wide stance and rocker profile reduce the risk of tripping and allow for smooth comfortable strides. The removable footbed has a contoured surface. A foam spacer beneath the footbed can be removed to accommodate orthotics or customization. The vamp lining wicks moisture and has been treated with an anti-microbial agent.The upper is made of the finest full grain leather.